Italians architects continue to be world leaders in design. Renzo Piano, 77, is the creator of no less than 21 projects for museums all over the world; only the most recent is his redesign for the once stodgy Harvard Art Museum in Boston. 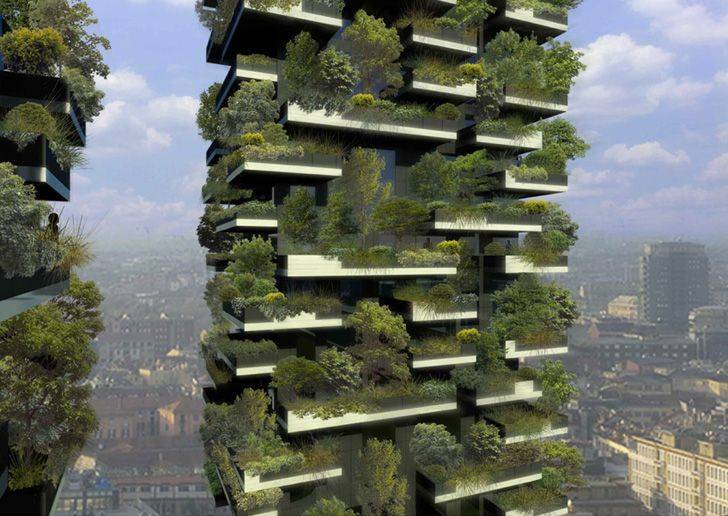 Now Stefano Boeri, 58, has just won the $62,000 International Highrise Award for his “Bosco Verticale” (Vertical Woodland) twin high rise-towers of 111 and 78 floors respectively in Milan. ROME – Italians architects continue to be world leaders in design. 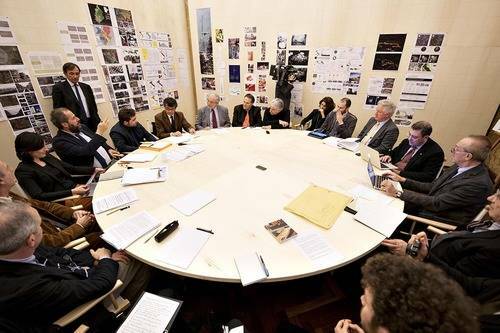 Renzo Piano, 77, is the creator of no less than 21 projects for museums all over the world; only the most recent is his redesign for the once stodgy Harvard Art Museum in Boston. Now Stefano Boeri, 58, has just won the $62,000 International Highrise Award for his “Bosco Verticale” (Vertical Woodland) twin high rise towers of 111 and 78 floors ((100 M and 80 M) respectively in Milan. Renzo Piano burst into worldwide fame in 1977 for the Pompidou Centre in Paris, which he designed together with Richard Rogers. Even as a senator, he has retained some of those populist impulses, the Economist points out; and although President Giorgio Napolitano made Piano a lifetime senator, he still gives a modest description of himself as a “geometra genovese” (Genoese geometrician). Some of those populist impulses predominate his ideas for the future of Italy. “When I was made a senator I thought that the sole contribution I could make would be to continue to do my regular job even in the Senate and put myself at the disposal of the collectivity,” he wrote in an article published Nov. 26 in La Repubblica daily. This led to his decision to focus on the problems of the transformation of the Italian city into a metropolis whose new, neglected suburbs – la periferia, as the Italians call them – have in recent decades become home to the vast majority of Italians. In recent months Piano, 78, has been putting forward his ideas on this in public appearances and in articles in specialized journals as well as in the popular media (see: www.renzopianog124.com). Last year he also turned his senatorial stipend over to six young architects, charged with studying how these boonie suburbs can be improved. “We are an extraordinary and very beautiful country, but at the same time very fragile,” he says. “Both the landscape and cities are fragile, as are in particular le periferie, where no one has the time and money for their maintenance.” But these are the cities of the future, “where human energy is concentrated.” A green belt is also needed, he maintains. And why not a vertical green belt? This was Boeri’s contribution to the Milanese landscape for the Isola quarter in Milan. On the balconies of the two skyscrapers Boeri designed there, as part of the Porta Nuova urban renewal project, are hundreds of plants on terraces. Boeri’s winning design outshone even the likes of Rem Koolhaas, with whom Boeri and others coauthored the book Mutations, published in 2000. The congratulations came from both President Napolitano and Milan Mayor Giuliano Pisapia, who said with obvious pleasure that Milan itself was also being awarded. Boeri was born in Milan and teaches at the Milan Polytechnic. He is also a visiting professor at Harvard University, and at university institutes in Moscow, Rotterdam, Lausanne and Mendrisio. Like Piano, he is interested in urban renewal with projects regarding port cities like Genoa, Naples and Trieste, in Italy and in Marseilles and Doha. For Sardinia he rebuilt an abandoned military complex. His prize-winning Bosco Verticale for Milan is described as a “biodiversity residential complex” and was completed this year. And there are other world-class architects in today’s Italy. 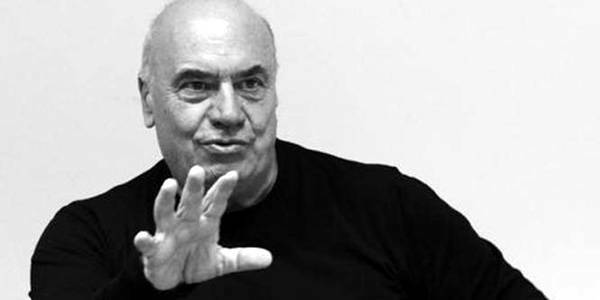 Massimiliano Fuksas is one – an “archstar,” according to the daily Corriere della Sera. For Rome’s EUR suburb, built in the days of Mussolini, he designed “La Nuvola” congress center, which until recently had suffered from a shortage of funding, now resolved. The inauguration is slated for the opening of Expo 2015 in Milan.